← Which Are Better: Endnotes or Footnotes? 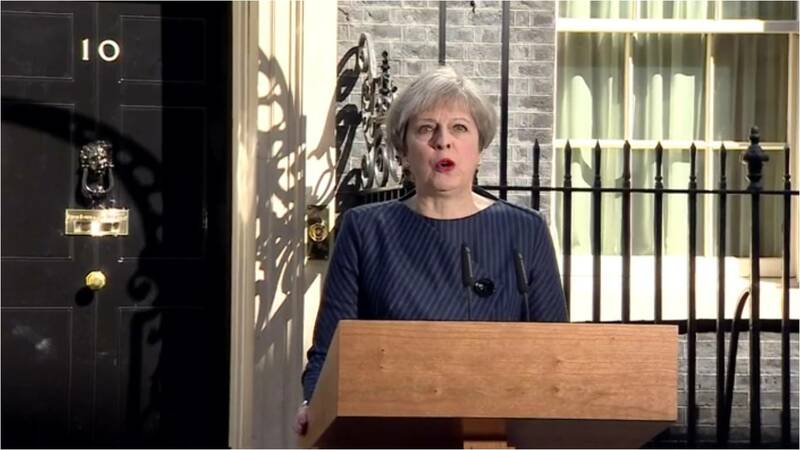 British Prime Minister Theresa May made an announcement outside of 10 Downing Street and has just called for an early general election. But she has not “called” an early general election — because the British Prime Minister no longer possesses this authority. The BBC has highlighted an interview between Andrew Marr and Prime Minister May from September 2016 in which May said, “I’m not going to be calling a snap election.” Strictly speaking, May has kept her word. However, the Prime Minister no longer has the authority to call a snap election — so, if anything, the BBC should criticize May for having made a promise that she, in fact, had no authority to make in the first place. The Fixed-Term Parliaments Act also outlines two procedures for early dissolution, but the executive also plays no part and has no discretion in these mechanisms either. Section 2 of the Act outlines these procedures. In one case, parliament may be dissolved early if two-thirds of MPs pass a motion “That there shall be an early parliamentary general election.” In the other case, if the Commons votes non-confidence in Her Majesty’s Government by simple majority (“That this House has no confidence in Her Majesty’s Government”) but then fails to pass a confirmation vote for a new government (“That this House has confidence in Her Majesty’s Government”) within 14 days, then Parliament shall automatically dissolve in order to break the deadlock. The defeated government would remain in a caretaker capacity during the ensuing election and until the new Parliament meets and passes a confirmation vote in favour of a new government. In this case, the procedure under section 2(1)(a) applies. The May government itself would likely table the motion in the Commons “That there shall be an early parliamentary general election,” and a two-thirds super-majority would have to vote in favour of it. The Leader of Her Majesty’s Loyal Opposition and the Labour Party, Jeremy Corbyn, has already indicated that he would support this motion, and so too, probably, would enough of the Labour Party to reach the threshold of a two-thirds super-majority. Similarly, the Leader of the Liberal-Democratic Party, Tim Farron, has also endorsed the idea of holding an early general election. Speaker Bercow would acknowledge that the motion had received the support of at least two-thirds of MPs on division, and that verbal acknowledgement alone (nothing more formal than that) would suffice to promulgate the early election into force. However, rather bizarrely, the Fixed-Term Parliaments Act did not put the British Crown’s authority over summoning parliament into abeyance, so the Prime Minister or Cabinet (I’m not sure precisely how that works in the United Kingdom, but in Canada it would be the Prime Minister alone) advises the Queen to issue the summons of the next Parliament at a certain date. The rationale for the early general election is Brexit. Now that the Westminster Parliament has passed the European Union (Notification of Withdrawal) Act, 2017, the May government has triggered Article 50 of the Treaty of Lisbon and set in train the United Kingdom’s withdrawal from the European Union and now wants to consolidate those gains. And it seems that the other parties in Westminster are happy to religate the Brexit referendum in this upcoming general election campaign. The early general election would be held on June 8th. And we can rejoice in other news, too: invoking one of the procedures under section 2 of the Fixed-Term Parliaments Act, 2011 means that the British media will finally learn, out of necessity, that this statute has put the Crown’s authority over dissolution into abeyance and that the Queen no longer dissolves Parliament on the Prime Minister’s advice. United Kingdom, Prime Minister’s Office, 10 Downing Street, “Press Release: State Opening of Parliament to Take Place on 27 May 2015,” 26 March 2015 [accessed 20 August 2016]. This entry was posted in Crown (Powers and Office), Dissolution, Fixed-Date Elections. Bookmark the permalink. What I find confusing about the Dissolution is that the two-thirds majority apparently depended on “enough” of the Labour Party members voting. Why did they do this given that the Election might well wipe out the Labour Party as a major player in any new Parliament?